Sources of inspiration are everywhere for Thunder General Manager and Executive Vice President Sam Presti. Strolling the halls at the Basketball Hall of Fame in Springfield, Mass., Presti stood in front of a display for John McClendon, a protégé of James Naismith, the inventor of the fast break and a pioneer for equality as he became the first African-American head coach at a predominantly white university. 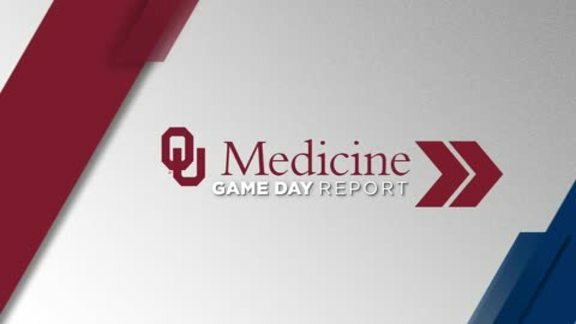 Outside his office, inside the building which is now called the Thunder ION, powered by OU Medicine, Presti latched onto a quip delivered by assistant coach Darko Rajakovic. The latter noted that on offense, “random” basketball sounds like a style without a plan, and what the Thunder wants to do this season is to play “creative” basketball, as to thwart opponents’ abilities to track the Thunder’s patterns. Inspiration will also likely come in the form of his brand-new twin daughters, Elise and Millie, born on Wednesday evening. After a night of very brief sleep and shuffling his son Nicholas off to school, Presti laid out his vision for the 2018-19 season on Thursday morning, just days prior to the start of the Thunder’s 2018 U.S. Cellular Training Camp. 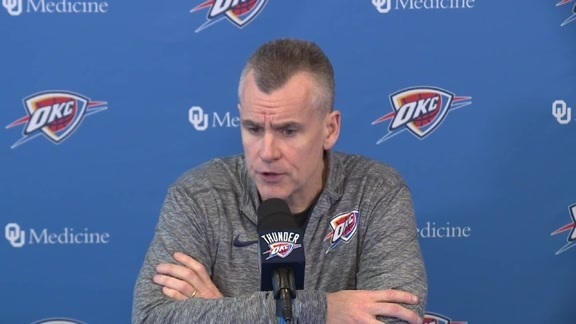 From a problem-solving standpoint, Presti, Head Coach Billy Donovan and the staff are focused on how to increase the Thunder’s speed on the floor and pace on both sides of the ball while also recognizing that in today’s NBA, “efficiency is king”. Rather than the strategy being at odds with a defensive mindset, Presti believes that an up-tempo style could be an ideal weapon regardless of who has the ball. For the Thunder to realize its potential this year, it must thrust itself fully into a defensive identity that is predicated on swarming length, activity and pressure, getting the Thunder out into the open where its players can play creatively and freely. With inevitable and constant change, the Thunder also wants to remain committed to the core ideals that have made the organization successful over the past decade. Presti laid out four values that the team needs to incorporate into its daily activity once again this season: commitment to process, humility, development and leadership. Throughout this upcoming campaign, creating an environment where people can do their best work and thinking about what people can do rather than the things they can't will give everyone in the building their best chance of optimizing their performance here and beyond. That hallmark, of creating a haven for professional development, has been a consistent feature of Thunder basketball since 2008. With regard to leadership, Presti spoke poignantly about the career of former forward Nick Collison, who retired this offseason and leaves large shoes to fill for Russell Westbrook and Paul George. Both perennial All-Stars are pure leaders in their own right, but it will be fascinating to see the new identity that will take shape in the Thunder’s locker room. Westbrook and George will set the tone, and the bevy of talented role players around them will find their voices within the group. So as the Thunder takes its 11th regular season ride here in Oklahoma City, there will be countless decisions to be made and questions to be answered. There’s plenty of time for injury updates, starting lineup choices and strategy selections, but for now the team and its key stakeholders like Presti, Donovan, Westbrook and George, are focused on the big picture, and ensuring that the tone set on September 24, the first day of camp, is one that can provide lasting staying power for the upcoming nine month journey.